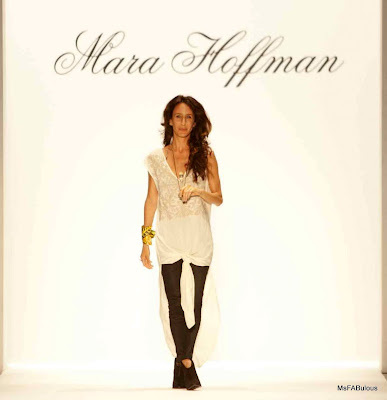 The Mara Hoffman show at NY Fashion week took us on a tropical getaway. 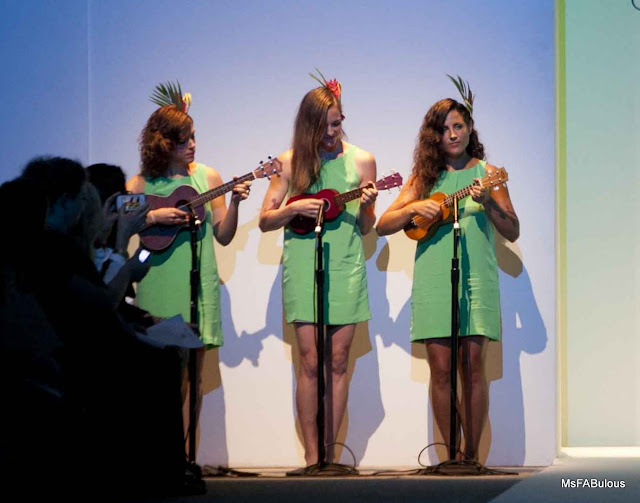 The Mercedes-Benz Fashion Week runway opened with a charming ukulele trio to set the tone. What followed were tanned lovelies in long flowing chiffon maxi dresses or calf length skirts in color blocked tropical colors of hibiscus pink, sunny yellow, ocean blue, coral and green. Modernized versions of tropical and native prints were used strategically to follow the curves of the body. Palm leaves and island flowers served as headpieces and bracelets for the deceptively simple, but effective looks.